Has worked great every time. 10/10 would recommend. I’ve used this app in two different city’s over a period of five years, it works GREAT! Very good app, but the card scan wouldn’t work. Everything else was great. Wonderful app and ease of access is great. Resets your order if you switch to another app. Took me five attempts to order a pizza. Where are the dipping sauces? Can’t find the dipping sauces. Otherwise the app is fine. Sweeeeet. Eli was great ... helped me find a great chose and had it to me in no time. Thanks a lot Eli! Takes longer than to call in. I use this app at home and on the road. Love its ease of use and accuracy. Great Customer Service so far!! So far easy ordering with app. Great delivery too!! This is the worst app experience of any modern brand. Moyock NC location is great!! They deliver hot!!! Friendly too!! Nice that we can choose to pay at the store. Love it every time. No issues. Makes ordering pizza fun and easy! I love Domino's pizza..it is delicious..could eat it all the time!!! Amazing order for parties only! Easy to use, easy to edit cart, awesome ap! Awesome service as always !! Nice in hot and tasted good! Can’t login to account or use pizza tracker. Error messages come up. The pizza is always hot. Love it. Need an option for cheese sauce, but other than that, it’s really easy to navigate and get what you want in a timely manner. Open late, pretty good pizza. Light on sauce maybe be too extreme but overall solid pizza. The only thing that was a bit confusing was how to add or remove a coupon. But after you figure that it’s awesome. I’m so glad they offer so many coupons! This team is caring and will follow up with you if any question about the order! The app leaves a lot to be desired. It should give a running total on the build your own pizza. Needs thumb print login or integrate with Apple’s password manager. When I click on a specialty pizza SHOW what’s on it. Put the price of add-on ingredients by the ingredients. I wish the sides pricing updates the total price of the item automatically at the selection time, it’s much harder when you discover the price at checkout and have to go back to change the order. Always on time. Courteous drivers. Very easy to set up. Great at showing me what I want. Easy to use ;) Dominos has the best user interface. On both mobile and web interfaces they put the user first and ensure the UI is easy to use. The customizable pizza tracker is awesome ! 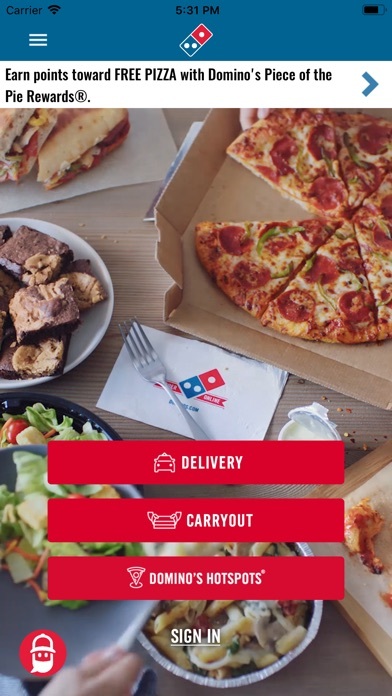 Dominos has mastered the art of ordering pizza over your phone. Easier than calling by a long shot, not to mention a list of coupons. Must have if you live on delivery radius. I turned on notifications so I could get updates on my orders, but I get so many ads spammed to my phone that I turned them off. And it’s always the same terrible $5.99 deal, worthless. Please update your delivery data base. I am unable to order delivery through the app but when I call delivery is an option. This also prevents me from using coupons for the order. Please fix this. I used to love this app. On days I get home late I could quickly order with one click from my car. Same thing on days when I’m working from home. You also get free pizza and auto coupons. But for six months or so my store can’t communicate with the app so I’d have to call. I get no credit for free pizza and since I can’t have a favorite when I call. It’d be great if worked. The website is great and I love it a lot..
@every other pizza place. Step ya pizza up. Easy to use. Fast service! While your FAQs say there is not a minimum order, I cannot complete my $15.06 order because it does not meet the minimum $15.97 order. This is a real bummer and must be new. I’ve never had an order issue. Looks like it’s Pizza Hut from now on. App is so intuitive / easy and fast to use! Organized, clear graphics and pictures, fast to navigate. Delivery fast and hot! Drivers very courteous. I always have the best service it gets here fast and is always hot! This app won’t let you look at the menu until you enter delivery type (carry out/delivery), date and time. Just let me look at your menu!!! It’s like you don’t want people to order your pizza. Fine, I won’t then. Very annoying. Fast and easy ordering process! Hope you don’t plan on eating anytime soon!!!!! Took over 2 hours!!!! Our food sat at the store for 50 min ..... when we called they said it left 10 min before. But the app said it left 1 min ago. Sure enough it took 15 more min to arrive ....... very bad. Not the first tome it was so slow and we had to call .... won’t order here again. This location is really exceptional - great service, happy energetic vibe, CLEAN - and their pies are made with love. Toppings are well dispersed and sauce is even. Are you kidding me? I paid $6.99 for 8 piece nuggets? Oh my god. Their pizza is great. NEVER GET THE BONELESS CHICKEN. ITS A RIPOFF!!! The boneless chicken are nuggets, not the strips that I was expecting. I may never order from Dominos again. Vocelli chicken are strips! These are $1 chicken nuggets. It is the application with the least friendly graphic environment I have seen in recent times. Servirse is good but the app.... 😬nop. I had a very annoying time navigating through your app. It doesn’t save information, it manually asks me to put in information when it is already saved as easy access from my phone. Honestly makes me want to order from papa johns instead. It’s so much easier and less stressful. Every single time I have an opportunity to redeem a coupon for a free medium pizza based upon my points your app suddenly had technical difficulties. Every. Single. Time. I have to put in my order multiple times change my password usually at least twice, and this only happens if I attempt to redeem a profile pizza. It’s dominos... but so much appreciation for the deliver drivers... thanks!! Rocks. The tomato based daises upset my stomach but the white sauce works! Best app, best prices, best pizza! App lets you add your debit card, but won’t let you complete an order. Have to use credit card to complete order. Too many steps and could be easier around ordering pizza. If people are willing to pay money, then it should be really easy to process. Ordered on line 50 minutes ago for delivery. Called 20 minutes ago after tracking showed quality check for 15 minutes. Was told they were short on drivers and they would refund my money and deliver for free. That was 30 minutes ago, still waiting. I signed up for text updates. No updates and still waiting for delivery. Don’t think I’ll use this store again. If you don’t have delivery drivers then don’t accept delivery orders if you can’t fulfill them. Still waiting. Pretty good experience. Rewards is good but a modification to it like double the rewards during football Sunday would amp the sales up. Person who continue to order during Football days usually buy a decent amount of pizza. Being rewarded double or an extra for a purchase limit ie($25 or more) during Sunday should give you an extra 10points or something. To be honest if Pizza Hut delivered in my area it would be tough competition being that they have the same deal. If you want to demolish Pizza Hut into the ground then you have to adapt to the changing factors like they did. They seem that Dominoes was getting more order due to a dollar difference in their pizza deal from 6.99 for each product of select items to dominoes deal of 5.99. Hopefully some reads the review and thinks about cashing in on promotions with potential partners like NFL. Especially during breast cancer awareness month. Locks you in to order cannot backout or change order easily...tries to trick you into one way cul de sac...borders on criminal. Calling state attorney general. If an app won’t let you pay, what good is it? The ordering system is great and I’m sure there’s more internal data collected than what’s shared with the customer. Bump up the food quality and the pay for your employees and this will be golden. Support our Wounded Warriors! Love the ease in which to order favorites. Not more million questions. This app is awesome! I use this app when ordering pizza from home I even do it from my tablet or phone. I keep getting “network errors” and have to do some operations 2 or 3 times. (It used to be rock solid.) I do like the layout & operation of the app. I just wish it would work better. Great app. Would be 5 stars if the card scanner was working. Also seems like I have to re-enter my card information every time to get it to work otherwise it gives me “generic card error”. Other than that this is the best pizza app. Can make my order through the app, but then it crashes every time I try to check my order status. We order dominoes once a week at work, and once a week at home. You have so many options to work with. The app is amazing and runs very smoothly as well. I've never had a problem with it. Overall great job guys! I had to change my review. Love this app now. Too bad pizza hut doesn't get on board. Every time I crave them I have to end up ordering Domino's. It’s a very clean (no glitching) , easy to use app. It’s simple, I had no problems. Usually don’t leave reviews but this app was impressive to me. Love it! Use it regularly, and we think its great! I wasn’t able to save the card. It looks like a an old crappy app. The weekly offers were great buy. This app is way too good for ordering stuff. Gives you so many options without having to hassle some poor employee over the phone. It would be easier and better if you could see the actual prices of all pizza toppings. I like the new updates to this app. The ordering process was better. I liked the size of the icons as well as the creative pizzas they make. I just have a criticism to make on the build your own pizza maybe show the price on the top left side of the screen. I’m a web geek and have been producing web based apps for twenty years. This is a solid app and has never failed me. Everything is set and basically no bugs. Easy ordering. Waiting on my order . Hopefully it’s worth the five star until I receive my order.☺️. I placed my order two hours before closing, it said they had been making it for an hour and half. So I attempted several times to call and see where it was, the store kept answering and hanging up the phone! Then suddenly it jumped to my order being in the oven. This is now two hours after I placed the order. I waited an additional half hour and then my order was cancelled. Not happy and still hungry. The whole purpose of having an app is for convenience. If you send me an email add the option to open in app so that I don’t have to take 20 minutes trying to log in! Ridiculous! I’m not even hungry anymore I’m aggravated! Perfect app to order pizza. Love the graphics and ease of use. You’re amazing, thank you for listening !!! The food is amazing, everything about the app is fluid and I only ever have cash on me, so I always use the very handy option to pay with cash upon delivery. Without a doubt this is my favorite food delivery app of all time. I love it!! On the whole, I am pleased with Dominos App. However, it has tried to trick me several times into upgrades while thinking I was either accepting or canceling my order. I figured out how to remove my extra cheese, and overall am super happy with my investment. Hope this helps. Before it was a headaches to make changes to my order, with a family everyone wants it their way hence the last minute changes. Now I just used the new app and it was easy to go back and add or minus toppings, and items. Thanks a lots for making my life that much easier. You need to add the option to have pizzas cooked well done. There isn’t one. I have to call the store to get it cooked well done. It’s annoying how every time I try to pay with a card it says generic card problem or whatever.. when I KNOW my cards are good . Even when I tried to add more than one it said the same freaking thing. I like the app, and I get that red and blue are your brand, but figure out how you want to color code positive and negative responses and stick with it. Some cancel buttons are red or in the middle and some are blue or in the corner. The less attention I have to pay to a pizza app the better. Can’t even place an order as my university was not included on the app. This app is alright but it needs Apple Pay! Takes to long to input in order to order a pizza. lol BG process. Nice APPBut little confusing for using coupons!!! Applied a coupon to my order and then decided I wanted to use a different coupon, but could not delete what was in my cart or apply a different coupon. Should be able to remove what is in cart to make this more user friendly. Love how easy it is to order with the coupons available too. BUT. Would love to be able to add a tip on (if it is available, it is not easily accessible) like Papa Johns has the option. Very easy to use, steps are clear to use, terrific! A good way to order pizza kinda wish you can add some instructions on the delivery. I use this app when I cannot remember the number to my local dominos pizza place. My family and I enjoy the deep dish and cheesy bread. This app makes it easy and convenient for us to order. Ordering pizza pies to the household with sims creation on ipad. iPad version recommended for peak visual experience. My first order was for delivery and an error message kept coming up, I don’t know why. I changed it to pick up and it went through. It’s inconvenient for me to now leave the house and pick up the pizza with a newborn! I should be able to pay with Apple Pay. Much better than the online site. Makes getting pizza easy! More reliable than Pizza Hut! This app works fast, never glitches, saves my addresses, favorite orders, payment methods, tracks my rewards, and delivers late. What more could you ask for?? Great app for ordering online. Wish all pizza places had an app this good! Sometimes like tonight that I thought about ordering from a different pizza place, I ended up ordering here because I like the app so much and the notifications that the send. I don't have to wonder for the next hour "when will they come?" The notifications let me know when I should watch the front door! Plus I know exactly how much it will be, unlike when you call in and sometimes never know or are at the mercy of who is taking the order (and what kind of day they are having!). Thanks D Pizza! You rock! Great lava cakes. On time delivery always. Was annoying and irritating with the app, even when I ordered over the phone, overall decent app. I love the tracker so convenient. Easy to order and track your rewards points!!! I have not had a problem with this app in over a year. Good pizza, I pretty much order everyday, and good service also. I really enjoyed using the new version! Fine if you don’t want to alter any menu items. Some aren’t even able to be altered. Blah. Easy to use and keeps me well informed on the status of my pizza! Worker are every disrespectful and don’t know how to talk to costumer. Find a better employee who speaks English in order to satisfy customers. Felt very disrespected by how the employers talk to me it’s just so incredible store nearby 1st Ave Madison so disappointed. So hard to deal with....I hate this company. They stink. Quicker and easier than ordering by phone! This isn’t my first time using the app, but it will be the last. I ordered my food with the app, the tracker said my order was ready to pick up, so I headed to the store only to be told they didn’t have my food. I hit the order button again and pulled into the parking lot to wait and checked the tracker. It said this 2nd order was at a different location! So I went to the other store and checked the tracker again. This time my first order showed up at the store across town! When I went in to get my food it was completely wrong but it was what the app ordered! Thankfully the 2nd store was amazing! They actually cared about my frustration and went above and beyond with their customer service. I won’t be using the app again. But I will definitely be returning to this store. The app used to be awesome, this was just awful. We love our Lago Vista Dominos! The staff is consistently kind, happy and helpful! The food is always prompt and delicious. I like this app a lot. It is easy to use on both my computer and my IPad. I feel like there have been some great improvements recently to ease the experience. I would say that it is a little confusing when you redeem points to buy a pizza (yay, and. alittle embarrassed to order enough to qualify) that it should be easier to add other items. The "close" button at the top wasn't intuitive for me...once I figured it out, it worked great. Looking forward to some pizza in a few minutes! The app was charging me $47 for adding parmesan cheese and red pepper packets. Very difficult to order anything but the specialty pizzas. Also difficult to order more than one pizza. Also price is higher than when one orders by phone. However, phone is not often answered these days. Love the pizzas, but the process is frustrating. Strong app. Good developer. Interested to see who they hired to build app, or if dominoes did it in house. We have been ordering from this location for years. The staff is always friendly and pleasant. They make you feel welcome the second you walk through the door. In the rare occasion an error (1 time in about 10 years) is made they are quick to resolve the problem and make sure you leave the store happy. Keep up the awesome job!!! Hand tossed Pizza Great. App can be a pain to work with. Couldn’t get back to my order to make an addition that I forgot to order even though I could review and edit other things. Also, hate that I have to charge orders over $50. Would prefer to pay cash. The pizza is pretty darn good for fast food. Lots better than it was years ago. App is easy to use and very helpful. Their pizzas are delicious with that amazing buttery stuff they put on the crust. The service is fast and on time. We love getting pizza from this dominos! Wonderfully designed app! So detailed and convenient. Love the tracker so u know the exact process of your order! Also keeps your orders and you can favorite an order. Couldn’t be better! Not only is the app great but so are the employees, service, & food! Love this app! Great job! I love that within minutes I can create a new order or select our favorite order with the tap of a button. I also love that I can pay online which makes for fast and easy carry out service! Wish it more graphic like Papa John’s but it works. I can’t get extra sauce on my Alfredo? Or maybe have a ‘extra instructions’ spot. The coupons advertised on TV are if you pick up the pizza. The app has limited real specials. Strange how pizza and a coke seem to always average out to about $27 How about a medium three topping (one topping is a joke) pizza with two sodas for $15. For $26 the delivery should be free, I’ll spend it on the driver themselves. The apps a little tricky to set up but works well once it’s done. Shockingly this was very simple and easy to use! Great service, great food, great people! 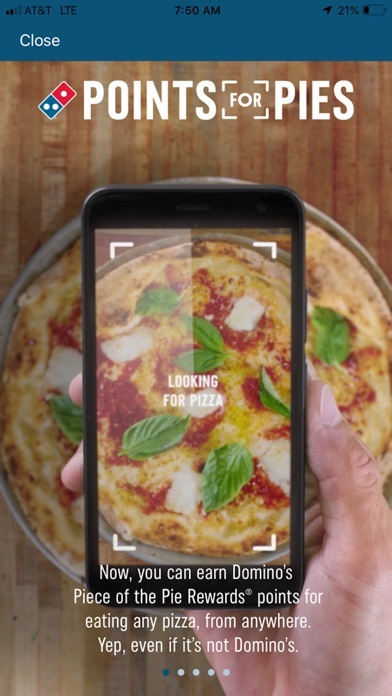 This app is great for ordering online to see exactly what you’re getting but lately the ingredients don’t fall onto the pizza so if you’re not reading your order, you’ll end up with the wrong ingredients! I don’t know what happened that it’s glitching like that lately, or maybe it’s my pad. App is easy to use and ordering is a breeze. Love Domino’s Pizza! If you've made your app so complicated and difficult to use that it's easier to call in, and if it wipes all your stored info whenever it updates, then that is a fail. Try again, dear IT people. This app is so easy and you can track your order! This was so easy I was ordering while driving with my knee, 3 kids screaming, and texting. Piece of cake, err pizza! The times I used this app in the past, it was a good experience from start to finish. But today when I wanted to place an order, it was slow to open. It finally opened and I placed my order for delivery about 2 hours later. The experience was a bit confusing but manageable. I would have preferred to change my credit card whether I was ordering or not, but even that was pretty much acceptable. What is NOT acceptable is that now, about ab hour after placing the order, it will not open at all. In the past, I liked the tracking feature but unless the app opens, I won’t be able to use it. Takes forever to order 10 pizzas!!!! Domino Corporate is insensitive to Seniors & disabled people by charging them a $3 delivery charge with no discount on product price. Corporate insulates itself from answering these hard questions by “mirroring” them onto the individual franchise owners. Thanks for nothing Domino’s Corporate ! If I give a bad review tomorrow, don't pick this location! Wait to see what I reveal. I ordered a 16" X-Large custom-build Brooklyn with Philly toppings!!! Great app. User friendly and easy to use. Doesn’t freeze, haven’t experienced any bug issues. Love the app but still some miner bugs to work out. This app is easy to use and navigate. Couldn’t view details about specialty chicken. You should look into ui stuff like that. I’m hoping this one will be as awesome as the last! Perfection!! I swear it was the best Pizza I’d ever had from them. Dis app iz da shet! I love the app. I find it very easy to use and we create different toppings on our pizzas. Faster than calling in an order. Great easy way to order pizza. Way faster than using your web browser! I love to order at Dominos, orders are prepared right and never had a problem with them. I’ll be back! App is easy to use. You can save your order details for future use and track you pie all the way to the door. Since college a friend put me on to the Handmade pan pizza! Now I can’t get enough, wish I could eat them weekly but hey are kind of pricey! So I can’t wait for the day on the app when I can redeem a free pizza because of my points with dominos! Surprisingly a huge dominos fan now, when I grew up eating Pizza Hut & then switched to Papa Johns...dominos USED to be on the food level as Hungry Howies & Lil’ Caesars now it’s my FAVVV! Have been using iphone to order. Try it. Every time I order It always takes more than two hours to arrive I just made an order 2 hours ago and it says it still hasn’t left the store even though it said my food was supposed to arrive within 45 minutes 1 star very unpleasant!! The Only PIZZA place for ME! Whenever you make a order here at this location it take too long for delivery especially on the weekends. Sometimes user error, but app is phenomenal! I love the convenience of the Domino’s application and I love going into the stores because they’re always great and the customer service is wonderful. Thank you Domino’s! I only have one complaint. There’s no way for me to tell them how I would like my order prepared. For example, I like to have my wings cooked well done with extra sauce. So I have to call and tell them that over the phone. Why is there no comment section for my order?????? It’s a simple to use app very convenient. I LOVE DOMINOS!!! YALL ARE SO GREAT!!! KEEP UP THE GOOD WORK!! I’m really enjoying this app. I’ve used it every time I travel. So much easier than calling around to different Dominoes locations trying to figure out which one delivers to your hotel. Love this! The staff and food here are Awesome!!!! The staff at this location are awesome ! I have always had a great experience here. However I feel they need their drive-thru (asphalt) and the employee parking area needs to be addressed. I am sure the supply driver(s) will agree. We enjoy ordering pasta is in pizza is from this restaurant. The service is always quick, the food is always good, and the restaurant is always clean! It prompts me to write a review every time I use the app. Anyway, the app does what it supposed to so I gave it five stars. Don’t understand how an ordering app doesn’t support Apple Pay! Gave it 3 stars because I tried to scan credit card several times & it did not. They won’t deliver my pizza?! Please add a space to type a special request. I like my pizzas extremely well done. In comparison to Pizza Hut and Papa Johns this app is a dream. Of course their apps are total junk. Got the coupons right up front, easy ordering, all the right options. Great app. *Update: Taking one star until you have Apple Pay integration in the app. No offense but I want my credit cards stored in one place. Still the best pizza app. Always fast, always delicious, and if they are first then the management always takes care of it! Use web for coupons and deals. When dominos had the 2 topping large pizza special for $5.99 it wouldn’t let me get that deal over the app. I would have to login into a browser in order to receive that deal. So on the dominos app please post all deals going on. They still send you the wrong order! The App is actually solid but despite the orders being as you entered right in front of the pizza makers, Dominies will still screw up your order 3 outta 4 times. It’s like the pizza makers don’t look at your order/ingredients at all. So what’s the point of the app? Good awesome thin crust... so dar very good. It’s been the fastest delivery thus far... just one problem the drivers sit in the parking lot and call me saying they are here !!! 😳 I usually have to go get the pizza myself... I would understand if its the fist time but I see them all around ringing door bell... so I had to call and ask why... there no reason why it’s just is. So 🤞🏼crossing fingers lol they’ll ring my doorbell and I wont have to get the 🍕 ... still its great food! The only complaint I have is that I am unable to see or edit the ingredients on the salad. I wanted to get one but didn’t see that as an option so I decided not to order it. After you select an item you’re unable to delete it without closing out of the app and going back in. Otherwise app is super user friendly. I placed an order in the morning before the store opened, to be delivered later. When I checked later, the order still appeared, but without a delivery time. I had to call the store to make sure my order was still pending (which it was). I feel that a future delivery time should appear with an order, and would like to see one in future updates. I have got to say, this dominos is on another level! Great service, great food, great people! It’s so hard to come by an establishment with this much class. I’ve always been iffy about big chains, however this dominos defeats all odds. Keep going dominos on South Main Street. You are the reason I wake up in the morning. You are the reason I live to see another day. Please dear god don’t forget my baby’s marinara sauce! The app is very finicky. As I started typing, the app would just move around from one page to the next. Had to keep going back ... took a while. First I thought something has gone wrong it’s my phone but it’s the app. I am providing this feedback after verifying that it’s not my phone but the app. When you order the sauce you want it charges you 50 cents extra each time. First, once you use some of the coupons you can’t combine coupons. Then after I get through that, I try to place my order and I’m using gift cards, but don’t have them with me, so I hit the paying at the store button, it won’t let me have an order over $50. So, I end up placing 3 orders to get my order to go through. Hopefully everything is ready on time. I guess that’s the real test! This app works great and it’s nice to see updates all along the way. So much easier to use than calling in, and the user interface is of excellent quality and well thought out. Not greasy like other pizzas. When it comes to a go too pizza, it should always be dominos. Won’t accept my credit card security code because it’s an odd code. But the website takes it weekly. The last 2 times I have tried to order, I have had to call the store to place my order. The app for some reason not let me checkout. This takes a convenience feature and makes it inconvenient. Also, the pizza tracker is never accurate. I got an alert once that my pizza was delivered, but it wasn’t. I called the store and they told me not to follow that because it is not right. You need to make it accurate so I know when my pizza will be delivered. Not much to say except the pizza is always fast, done right, is really good and the staff on pickup is always friendly too. Thanks for the $5.99 special too - cash is tight for me right now, so being able to splurge for a pizza I can afford is really cool too. Thank you! This app is easy to use and you earn free pizza. I’m a fan! This app kept locking on me. I would get 4 items ordered and every time I put 4th it would lock. Finally, I put that pizza in first and everything went smooth. We would get our food 15 minutes earlier if this had not happened. Comparing the product and price to other products and prices, Domino’s Pizza is too expensive. 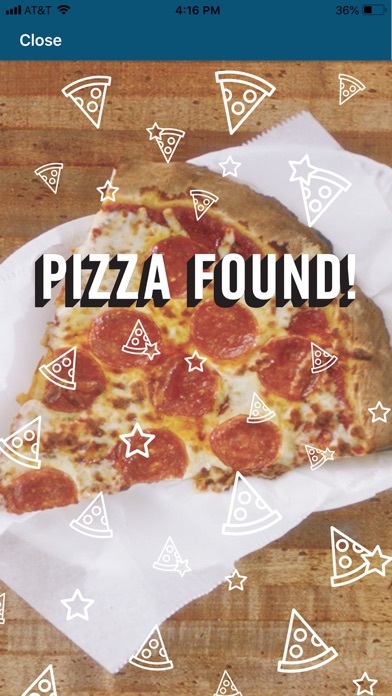 Pizza Tracker is the best! I order a lot. Love that I never have to call and there is always carry out coupons. The tracker helps me leave exactly when I have to. Best feature in the app! Would like to have the option to add BBQ sauce as a topping like hot sauce. I have a store about a mile from me but the latest versions keep telling me no delivery is available! App has been broken for awhile now. Never any issues. Always loads easy to use and track your orders. No Apple Pay? No auto fill keyboard? Why do you kill all the convenience of the iPhone with this app? It keeps having issues with my payment!!! Love to order after drinking a few at the bars. Awesome such a novel concept...ordering pizza from your phone! Thank the heavens Dominos innovated such an amazing concept!!! Nothing I used to dread more than his app. This version is much improved. 3 Stars for now. Let me try it a few more times before upping the stars. My husband and I order from here frequently. Tonight we decided to go with Pizza Hut because we had a coupon. We placed the order at 9:30p and when 10:30p hit I called to see what was up. They had no record of our order and the lady hung up on me. My husband called back and she said they were closed, they do not close until midnight. We then were told they were out of pizza dough and couldn’t make our order. Long story short we are starving at this point and opted for dominoes! This branch is always right on. The pizza is always cooked perfect, toppings plentiful, quick service and with a smile. Never again will we go against our better judgment and not get dominoes. They always come through! The man at the counter was so nice and helpful! It came out so quickly and the food was fantastic, I'll be coming back for sure! I'd even recommend Domino's to my friends. You don’t even have time to squeeze your helmet! Difficult to find what I want. Slow. Crashed three times while I was trying to order, and had to start over. Go back to the old app! My friends and I really love the order tracker but when we airplay it for the party to see we would really appreciate a landscape mode for the app to fill out the TV! The app keeps glitching out and constantly gives me error messages and takes FOREVER to get anything ordered because I have to keep retrying. The app now glitches at the end. I don't want to call in my order. Uber eats it is. App needs work. Completely terrible. Formatting is good but it keeps having failures to connect to the network. Even as I write this it interrupts me to say it can’t track the pizza because it can’t connect to the network. And I’ve tried WiFi and cell data. And I would’ve bought bread sticks but that didn’t work well either and wouldn’t tell me their price. This app is easy enough to use and provides nice features, however the tracker is not representative of the real goings on of my pizza. My local store is .4 miles from my house but the delivery stage will often be 15 minutes while the actual cooking takes 10 or so. I'd rather just know its cooking for a while than think I need to be waiting on my porch. Why am I unable to sign in right now? It took me 20 minutes to order a pizza through this app. I was logged in at first then it crashed and logged me out. Then the app said I had not account and an invalid email. After technical difficulties the app finally remembered me without me having to log in. The app unfortunately forgot the card that’s been on file for years. The app is great with its ease of ordering. The tracker notifications however are not good. The most recent time I used it, it told me my pizzas were ready, only to be told they were still in the oven upon arrival. No bueno. I tried using this app plenty of times and all it does is crashes! It take me over 5 times to even login and after that it takes for ever for me to place a order because the app runs so slow! No worries about being heard correctly! If you can read the screen and use your fingers you’ve mastered this app! Easy to use, easy to follow! Very intuitive and I love that I can track the pizza from creation to delivery. We just moved here from Ohio and I will have to say, I have never been a fan of Dominos pizza until now. The customer service at the Stuarts Draft Dominos pizza has change my mind. They are extremely friendly and willing to make sure that we have the perfect pizza. I have saved Dominos pizza as my favorite pizza place and look forward to our next order from Domino’s Pizza in Stuarts Draft. Don’t trust the high reviews most people simply say how good the pizza is. The tracker is so fake. Hard to place order etc. This app is fantastic. Very intuitive and simple to use. Wanted to add the tip for the driver/ delivery but there is no option to do it. Please go to this location! As a busy mom of 3, I love the quick app to order and go. Plus the delivery is always fast. Whether I use the app or the website, my card information never works. I retype all my info in, being the same as previously saved, and it works. Best pizza and employees in town! Always delicious and always on time! Even with you new update today, I’m still getting a “Network error” trying to login this app. Pizza Hut app is the same issue. McDonalds & Wendy’s apps are still working after the update. Dominos is my go to pizza, it’s so good and the best thing as that they make it so fast. There seriously needs to be a way to cancel the order or something if it takes too long. I just waited over 2 hours for a simple one-pizza delivery. After an hour of it being out of the oven I was trying to cancel the order altogether, and the only option is to call the extremely busy store that the pizza was coming from. Got hung up on once, was on hold for about 20min, then the pizza arrived at the door, ice cold of course. I sent it back with the delivery guy and finally got an agreement over the phone that they would refund my order, but only time will tell if I actually get the refund. This is the second time something this has happened. I can order pizza somewhere else until the app has a better way to make complaints/cancel orders. Ordered wings never got the delivery and they took my money off my card.Been calling to get my money back or get the ordered one guy name Billy kept taking my info and said I will get a call back still haven’t got called back so Domino basically owe me I can imagine how many people this happen too ! This app takes too much work! I just want to order a freaking pizza and this app makes you design your pizza from the floor up, should have a menu that is click and go! Large pepperoni and large combination click click done! You should follow Amazons path and simplify it to the very basics, click and go!! Please stop spamming me with "extra cheese" or "ranch for only 69%." Effective marketing technique... but all of said clickbait discourages my reorder. Dominoes has really upped the game. Thin crispy crust is the best, the app works great, and you don’t even need to get off the couch. Seriously Dominos - my corgi mut could design a better app. Love the app and the easy to use coupons. Kind gentleman helped us order using the app. Very helpful, friendly atmosphere. Thank you Robert..
processing order was smooth as cake. Pretty self explanatory and easy to follow. I love ordering from the Troy store. They are always quick with my order and the employees are friendly. Easy to manage app, no hassles, ordered sitting from the toilet. Bada-bim bada-boom! Good app. Easy to navigate. User friendly and self explanatory. Recommended. My “hotspot” is half a mile from my home. Why on earth can’t you deliver directly to my house??? And you charge me a delivery fee when I have to go physically pick up the order. Ridiculous. Really good pizza at any time. The local Domino's store takes Apple Pay, but the app does not, at leaset in the USA. The app does take Apple Pay in some other countries. This is a major disappointment. Great app makes everything a breeze. Our pizza was missing a piece. Gross!! Let me set up an easy order through the app without having to place an order. The app is so easy to navigate through!! The only problem is: I had clicked on one of my notifications and then it disappeared as soon as I click on it. I clicked on the $5.99 promo and it doesn’t even exist on my phone anymore. I love the ordering features of the app, just wish the developers would update the mapping. I’ve been at my address going on two years and it’s still not loaded in the app. I love this app seriously! First thing I get when I get a new phone! My 🍕 was 😋. I like dominos. They do my 🍕 up right. More of an Inconvenience than anything when you put special offers on this app that can’t be redeemed without a credit card. It’s a scam that one can not remove drinks from there order. The place is spotless and the staff is super nice. Fast service is pick up super fast and across the street. Great app , easy to work with and keeps up to date with coupons ! It’s never been easier to track my order !! Great and functional app, but tracker needs location data or notifications for delivery. We have never had a bad experience with Dominos! The kids love it!!! Good app but I’d like the option to change the store that’s going to be making my pizza. It doesn’t allow me to change the location. I didn’t find options cheese to choose from. No place to add tip for online ordering!! Calling is easier by far. That is if you weren’t on hold for 10 minutes. Poorly designed and glitchy app. Pizza is good. Pasta is too. Price is AWESOME!! Delivery is fast and friendly. The app makes ordering a breeze, AND you can earn a free pizza! Cc was expired. Got a “generic error”. Figured it out but updating the expiry date was a PITA. Not sure if I would like the new upgraded look of the app, but it was nice and very user friendly. Best pizza and great employees! I’m always satisfied and happy with our order! Your website and delivery have surpassed all other competitors. Congrats on being my only go to pizza service. Coupon listed for a large 2-topping pizza and 14 piece chicken wings for $14.99 does not work 😡. I was able to build the pizza I wanted, but then the 14 piece wings magically changed into a 16 pc Parmesan bites. Not happy at all! Will not ever use this app again! It would be nice to be able to add a tip on the app.. Difficult.. missing Continue Order option at my checkout page. Should always offer shopper an option to add more. Nothing but submit or cancel order. Then times out.. have to place order twice. Worriesome. F'reawl. I always be orderin from it. Cause is da bes. The app is easy and quick to use. The pizzas and extras arrive just as ordered and within 30-40 minutes. 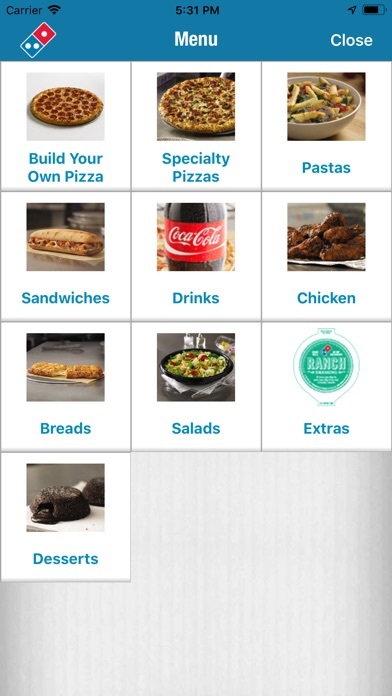 Dominoes APP for ordering online is MUCH easier to use than website ordering. Also, $50 limit should be raised little for larger orders. Love the ease of use with the app. Can not save my card information because dominos had a breech of information and my information was used to fraudulently purchase a large amount of pizza. My points were stolen. This software is make ordering pizza fast and very easy. The option off save the order as a favorite order will save you time each time you gonna order the same favorite pizza you like. I recommend this software to order Domino's Pizza. I wold add that I faced a little difficulty changing the time of delivery. I think it’s so unfair to customers to have to order in line to get deals! Went to order specialty pizzas. App wouldn’t scroll through available pizzas. Stayed stuck on landing page. couldn’t order using local coupons either. Pizzas wouldn’t scroll. Please include the price on the menu, not just during check out. None of the coupons would load and it took forever to navigate between pages. It was much easier to do on a computer. I sincerely wish all apps were this effective and user-friendly. Super easy, super helpful, and I love that it tracks my order. Good app and online experience for the most part but also a little tricky in some places. It is a little hard to find advertised deals and apply them to the order sometimes and of course nothing is volunteered or suggested in the hopes that you will just pay full price for your order. Loved dominos my whole life!!!!!! I love you guys! Seriously guys, of all the pizza apps I have, this one is easiest to use. Plus, it has an order tracker showing you the status of your order. Love the app. Nothing but good things to say about this location. Keep up the good work!! The app is not user friendly. Had to repeat data numerous times because the app menu is complicated when you want to order different food items. I almost gave up. Better than most restaurant apps out there. Doesn’t improve on the quality of their pizza. But it’s quite simple to use. Website is much easier than it used to be - better options... I haven’t been on in a long time - this was great! I couldn’t figure out why my $7.99 pizza kept ringing up at 9.49. You should put down that changing any of the sauces incurs a $1.50 charge. That would be helpful in making the selection, and honestly it’s silly. Sauce is sauce! Once upon a time I was doin mad dab rips with my homey Jaquan and I was like yo Jaquan I’m hungry as hell and he was like “yo dude I have a lactose intolerance”. Luckily dominos was able to satisfy both of our desires with lack of cheese and sufficient dank marinara. A’suh, dude? I tried to order from Pizza Hut for 30+ minutes, and the app and the site did not work. I’d love this if it all worked. I ordered a pizza for my mom with the app. I have a screen shot of the confirmation email. They then claimed it wasn’t there.we ended up getting a free pizza but it wasn’t worth it. I love the new flavor Dominos has added to their pizza. This has placed them far above the rest. Pizza is my favorite food- so, I know good pizza. This pizza is even awesome the next day! The powerful punch of select seasoning and quality dough makes Dominos superior. I love the company- they are responsive, progressive, customer focused, clean, well managed and a brilliant star overall! Their website is user friendly, easy to navigate, full of great deals, rewards and pizzazz! Dominos has nailed it! No other pizza company can compare. Stars do what stars do....Shine! Shine on Dominos, I’m behind you 100% If you haven’t discovered Dominos yet, try them today. I promise, you won’t regret it! Harder to navigate, difficult to go back and change order, very laborious if you change topping sides or distribution. I can use the website so much faster and more efficiently. Way to break what works just fine. First time using the app. I like that we can see the status of the orders. But there needs to be an option through the app to add a tip. The website has that option but not the app. We paid by credit card and now need to look for the cash for a tip. Thank you. It’s very easy to use for. Great Material! Keep up the good work😉!!! App works like an app should work. It works very well on my phone, which happens to be an older phone. Excellent application and excellent local. We are Domino’s Pizza fans, and have had consistently great service from the Domino’s on Main Road on Johns Island. Our order is always ready for pickup, and most importantly, it is always correct! The staff have always been friendly and polite. Kudos to the manager! Costs $3 for a free pizza Yea! I love ordering from this store, foods always good and always hot! Thank you!!!! 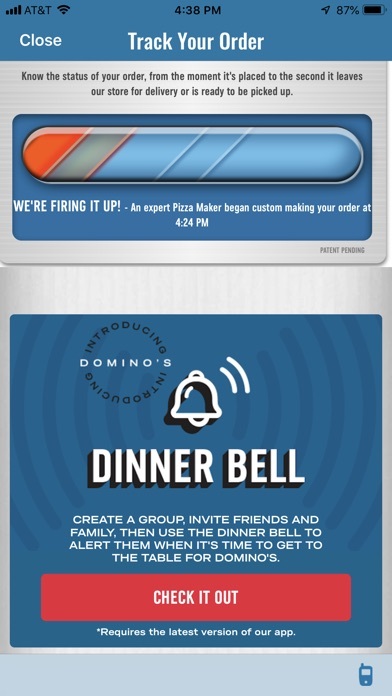 This app is exactly like Dominos Pizza...convenient and consistent. The pizza is well prepared and quite the taste treat. I use this app so the people at the store can concentrate on my pizza instead of my complicated order. I always want extra this, light that, etc. When I use the app I get exactly what I want - which is handmade 12' pan, extra cheese, extra sauce, sausage, pepper, onion, well done. It's the best thing Dominos makes, I'm satisfied every single time. I used to love this app. On days I get home late I could quickly order with one click from my car. Same thing on days when I’m working from home. You also get free pizza and auto coupons. But for six months or so my store can’t communicate with the app so I’d have to call. I get no credit for free pizza and since I can’t have a favorite when I call it’s much more difficult than just one click. It’d be great if worked. I love the app- with the exception of there being no way to tip through it with a card! Inconvenient when you don’t have cash at home, drivers deserve a tip. :( But otherwise very nice! For delivery, sometimes the pizza doesn’t come hot as it should be. Great app. Even better on iPad. One of the better corporate apps out there. The iPad version is particularly well done. Nice to see people supporting the iPads. New delivery fee of $2.99!! For what? For who? Still have to tip the driver!! I too miss the add more and subtract option. Otherwise it’s all good. Bizza so good, their boneless crust is two die for. I love bizza, it is good. Thank you for dominos, home of the whopper bizza. Good Pizza. Outdated App. For such a forward thinking company the App is surprisingly dated. My kids and I absolutely LOVE dominos pizza. 5 stars! It would have been faster had I waled to the store and ordered it on paper. Too many network errors. Mazzios doesnt have this problem. Stopped displaying graphics on all menu items when trying to add drinks. Seemed really clunky in comparison to the last time I used the app on my iPad. Site should have a back button to review and possibly add to order! Easy to use, faster then calling in your order too. they have all specials on the menu. it’s a good thing. Used to work, now it doesn’t. Only shows “Network Not Found” error when I open it, and tells me to either connect to a wireless internet connection or cellular data connection as if I’m on airplane mode when opening the app. I’ve removed and re-downloaded it but to no change. Please fix. I love ordering from this app but I would like to see a few more additions to streamline my purchase. Every time I order wings I have to call the store and give them special instructions on how I like them cooked. Please add a section for special instructions. Also, I don’t keep cash and would love to add the tip when I place my order so all I have to do is sign the receipt. These two changes will make my ordering experience that much better. Always on time hot n fresh ! fast but should change the option from carry out and delivery to be a easier process. I had to go back to the begging and put in my address again, to change my carry out to a delivery. The option should be at the end to, not just in the beginning. No tip option like on the computer version?? The “app” is easy to use and simple, yet offers everything needed to get you what you want. Save all your best stuff and get delivery so easy when you’re drunk. Also, pizza rewards. Easy to use. Perfectly balanced meal for a 74 yr old & her 47 yr old daughter! Thanks from a long time customer. This app is so amazing, it is super easy to find the food you would like and super easy to build your own order also. I love the fact that you csn order from home with a card if you don’t have cash. It being able to tip in the app is dumb. Everything is digital now, why not order your pizza online too. Love it. Sooooooo glad you guys are back in town!!!! It worked good. It is missing the ability to add a tip for the delivery driver. Quick download. Was able to login to my existing account and place an order within minutes. Very user friendly! I like that you do not have to pay online!!! Coupons seem great, but you can’t see the upcharges when you add things... or what they’re for. Was it the type of crust I chose? Certain toppings? My two “5.99” pizzas cost me 20 bucks at the end. Will they be worth it? Probably. But I don’t like that you can’t figure out what those upcharges are from the order screen. His app, in my opinion, is user friendly and gay is the biggest compliment I can pay. I love this app, and I love dominos pizza, but this app needs some serious updates and bug fixes. Every time I try to order any pizza and try to put hot sauce on half of it, the app crashes. I have no idea what the problem is, but it needs to be fixed. Soon. Love the app but wish you were able to use gift cards for future orders. Doesn’t actually take Apple Pay, screen shot to prove it. Love ordering from the app! The pizza is always hot and fresh when delivered! I order domino’s way more than I want to admit. My wife and I are huge fans of the app and the hotspot is pretty cool too! I tried it for the first time at the golf course and it was great. I will continue to stand up for dominos in the debate of which pizza joint is best. Domino’s, you have my heart. Also, my order is in the oven right now so I’m getting pretty excited. Every delivery person is always polite and helpful! Fastest way to order will definitely recommend everyone to use!! Im blind and unlike other pizza apps i can order here. This really helps not trying to enter card and saving addresses and orders is great. Idc about Dominos, I do it for Tyler! This app works for my iPad every time I order neve had a problem with 5 Stars . This is one of the hardest and confusing apps to order pizza I have ever used. My family was being really picky and she was extremely patient and found a coupon to help me out! The app was fast and easy to use. Would be nice if I could write specific instructions when building a sub. The only thing missing is the price of items before you add it to the cart. Works good. Would be nice to have Apple Pay. I love your pizza, pizza is my favorite food, of all time!! !